When Paul came to Athens he faced a monumental task of convincing a people given over to idol worship of the doctrine of the one God. Standing on the Areopagus surrounded by idols the apostle proclaimed the truth of what the Athenians called the “Unknown God.” Flanked by the Acropolis and its majestic temples and the Agora filled with marble totems of man’s imaginations Paul preached a powerful sermon of unity in the mind of listeners. The true God of creation made all men to be of the same blood and dwell upon the earth to serve Him. The habitation of man is divinely determined being measured by the will of the Creator. All men regardless of tongue, culture or nationality must seek the one Father to find the answers to life. The message of salvation has always been the same throughout the myriad of generations man has walked upon the face of the earth. The Lord is not far and He wants man to seek Him. The message of repentance and the coming judgment has always guided man in his quest of the Almighty. I returned late Friday night from a great week in Nicaragua. Working with five men of great spirit was an immense joy for me. It was a hard and arduous task of preaching in six different congregations before hundreds of people including Bible studies with numerous families. The task was challenging as only one of us spoke the native tongue. Enlisting the help of others the work of translation helped the message instill its power in the hearts of those who came. But through it all it seemed no challenge at all to preach the good news of Jesus Christ. For those of us who did not speak Spanish it was difficult to fully grasp the context of everything that was going on. Preaching with translation was a remarkable change from the norm. But one thing remained a constant. The faces of the people were just as beautiful to the message of salvation as any place on earth. One of the things Paul wanted to impress upon the people of Athens is that we have the same Father. We may speak a different language and we may live in a different part of the world but we are united under the love of a single Father. What a joy to worship with the children of God who speak a different language yet the bond of love is the same. 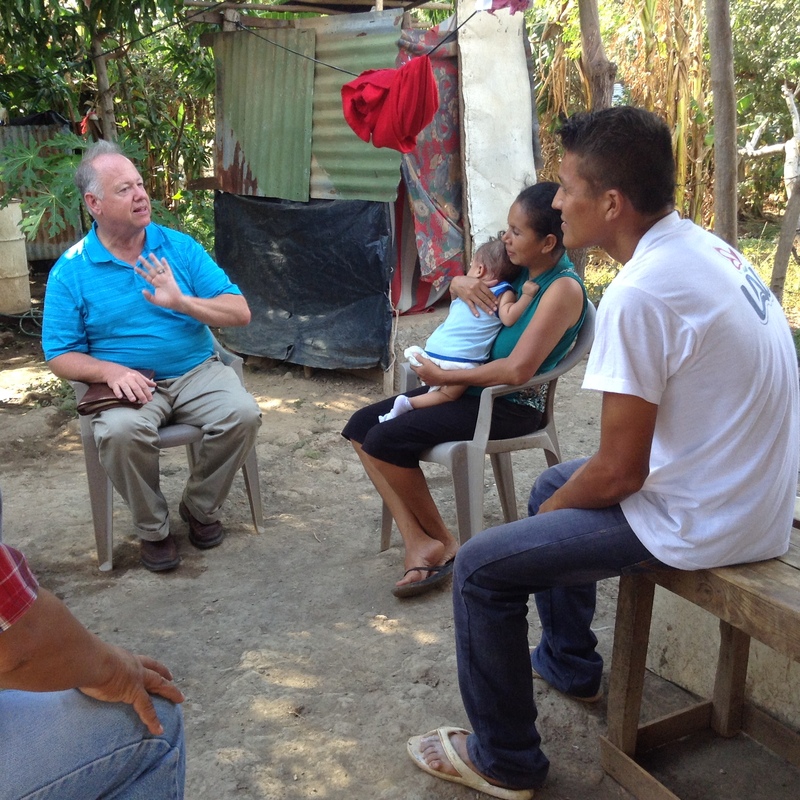 The smiles and warmth of the Nicaraguan brethren was just as warm and inviting as any place in the United States. They worshipped in places of simple design with no fanfare or comforts that we demand. Only one church meets in a place where the possibility for air conditioning exist. On Sunday more than 200 people gathered in a place for three hours with no AC and no padded pews and they were just as happy as could be. This was true all week. The singing was incredible. The prayers lengthy. The joy evident. As we gather today to worship the Lord God Almighty let us all remember that others gather over the world to lift up their voices to sing Hallelujah to the Father. Hands of different colors clasp in prayer with the same hope. The grace of God is given to people of all nations no matter what language they speak. We are all God’s children in the body of Christ. One of the things I concluded my sermons with during my stay in Nicaragua was the message that one day we will be gathered together in one place and we will sing praises to God in one language. No barriers, no translations and no hindrances to what we share together. I look forward to the day I can worship with my Nicaraguan brethren again in eternal glory. My Father in Heaven is their Father and so it is with you. This entry was posted in Bible, Christ, Church, God, Gospels, Jesus Christ, New Testament, obedience, Paul. Bookmark the permalink.